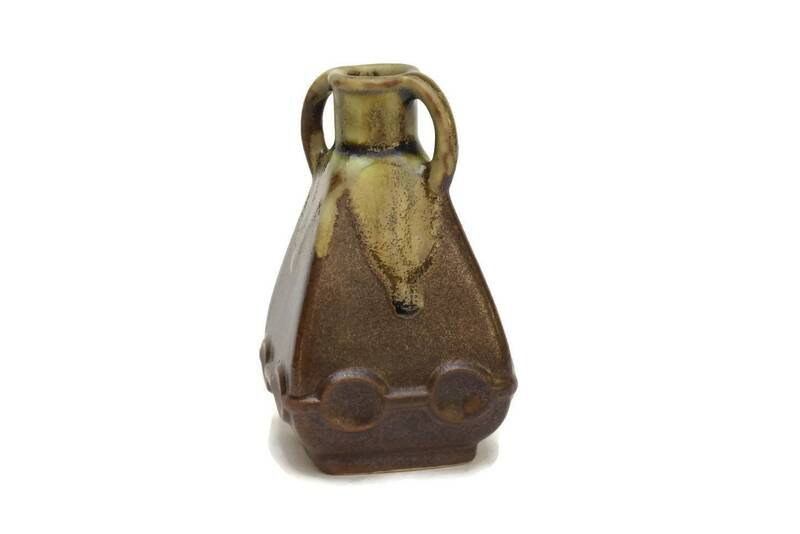 A very cute French Art Deco pottery vase manufactured by the prestigious Denbac art pottery studios in the early 1930s. 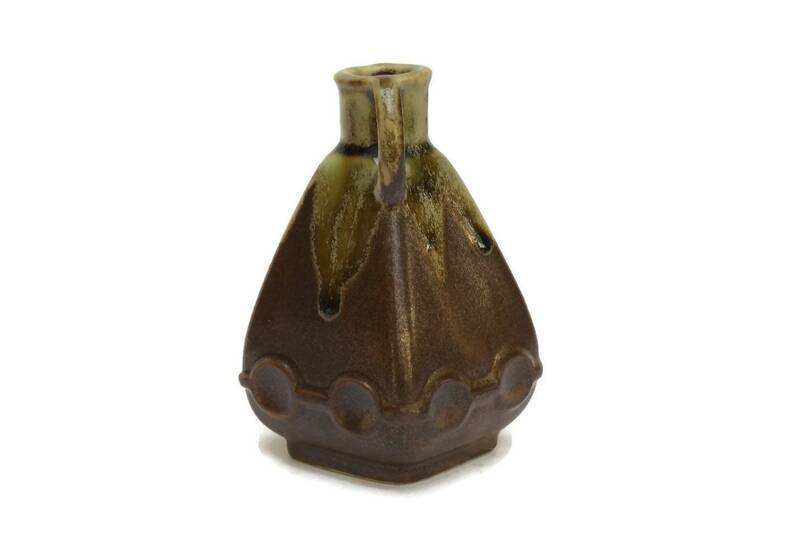 The little vintage stem vase features a pyramidal shape and a striking drip glaze in shades of beige and brown. 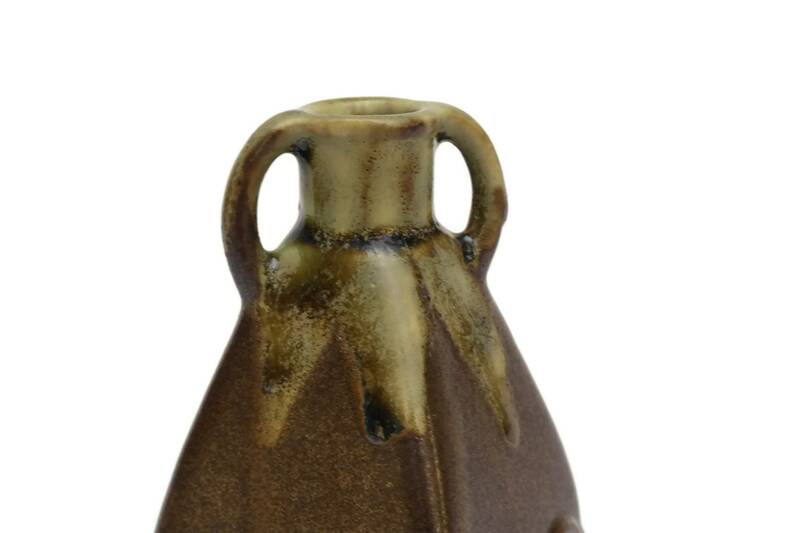 The top of the vase has been decorated with two handles and the bottom rim of the vase with a row of with a concave oval pattern. 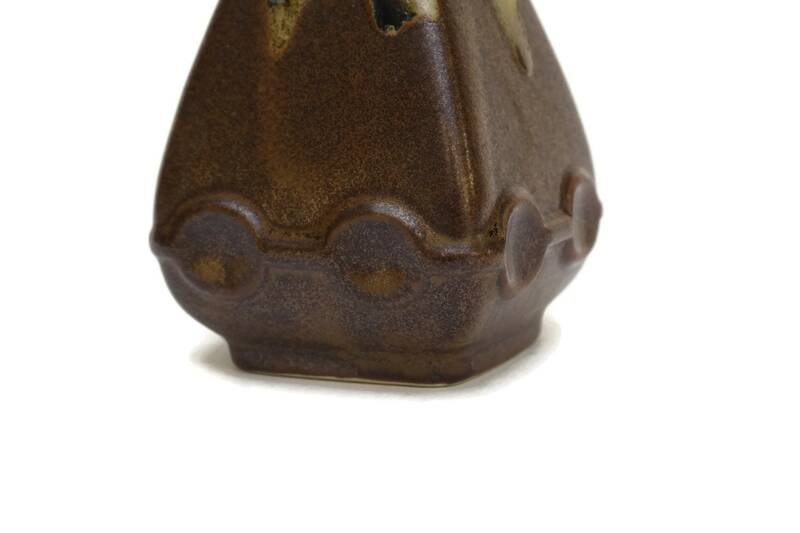 Hand-decorated pottery with drip glaze. 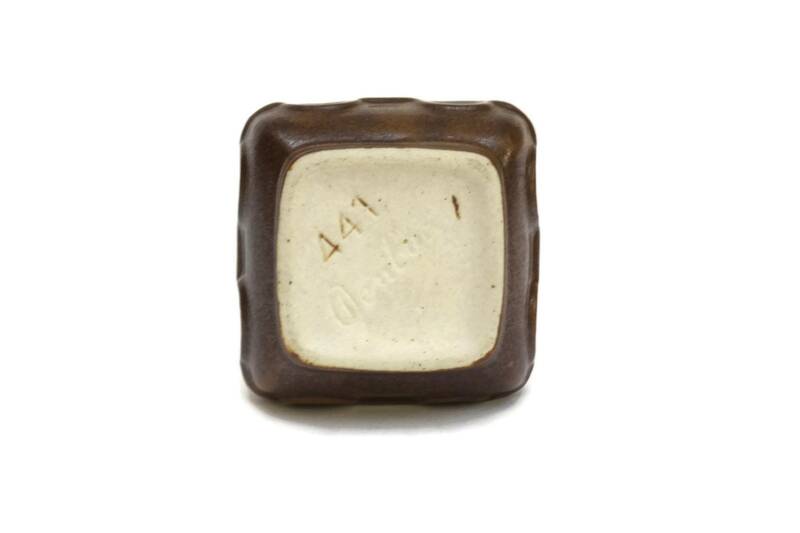 The underside has been marked with the Denbac signature and the reference number 441. 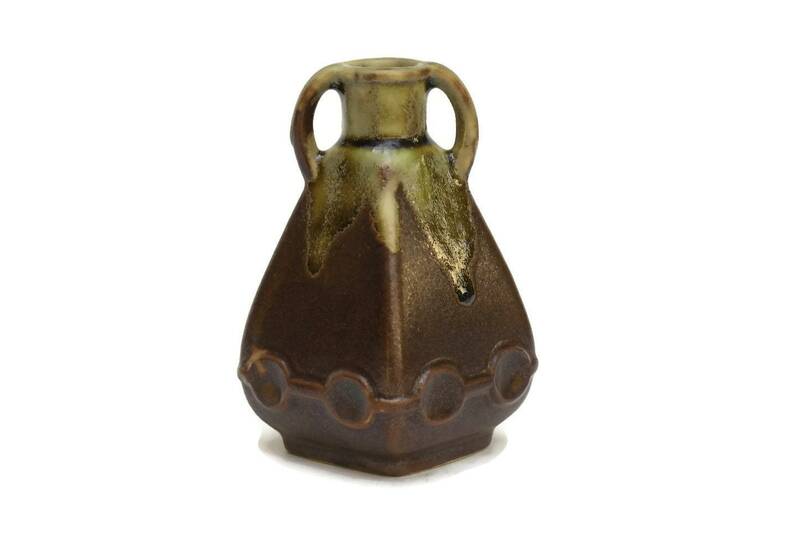 It will make a great addition to your ceramic collection. 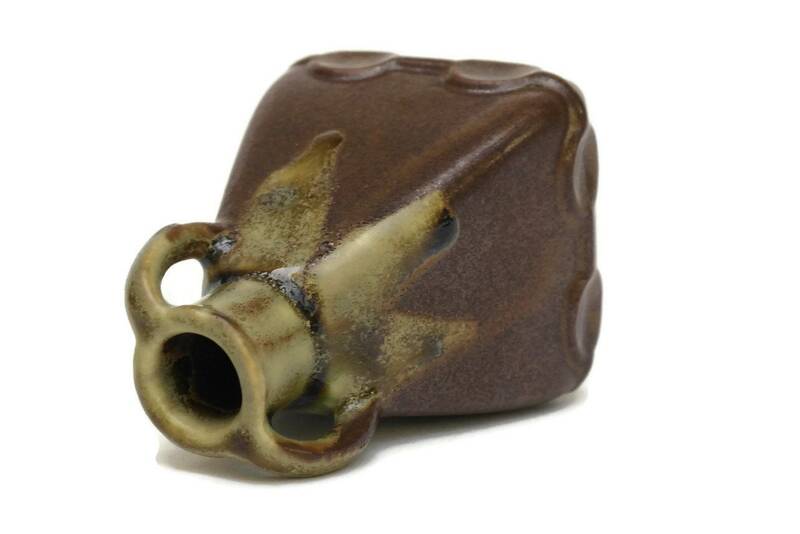 Denbac was founded in 1909 in Vierzon, France by René Denert and René-Louis Balichon. 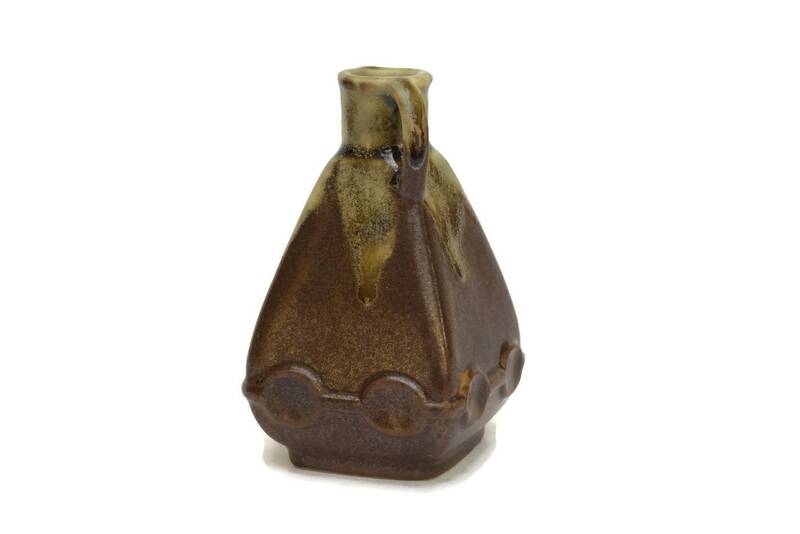 Denbac glazes are known as "gres flamme" and they often display a distinctive crystalline effect. The company went out of business in 1952. 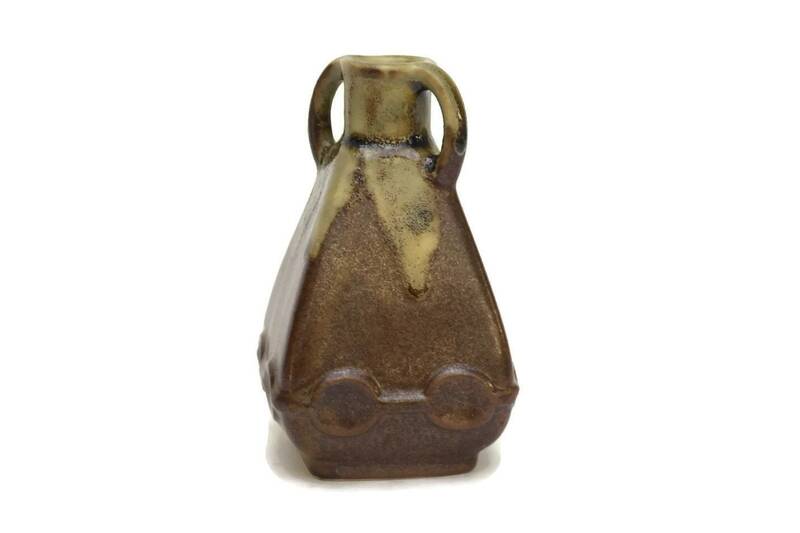 Denbac potteries are highly collectible. 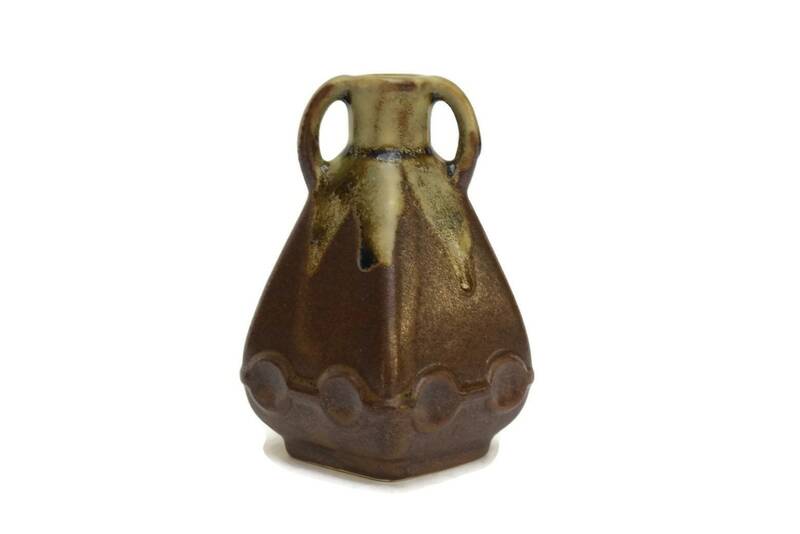 The Denbac handled vase is in very good condition with no chips or cracks.